Sweet Cheeks Adventures: Family Christian's Movie Sale -- Great Stocking Stuffers! Family Christian's Movie Sale -- Great Stocking Stuffers! Disclosure: I was compensated in form of gift card for sharing this sale with you today. This post contains no affiliate links. Movies are such a great gifts to give on Christmas! The gift is even better when it has a message that you can appreciate and enjoy. I can remember watching holiday movies with my mom over Christmas, but sometimes she would watch a movie that wasn't holiday related but meant so much to her. Movies that taught about life lessons and trusting in God. These memories are coming at a great time as Family Christian has a great deal going on! With such great movies on sale right now, you just can't go wrong. Plus, if you order quickly, they will get to you by Christmas. Don't want to order online? Just visit your local Family Christian store to pick up your movies right away! Wait!! Before you go, let's talk about a few titles you will see in this sale! Moms' Night Out -- From the producers of October Baby comes a faith-based message and hysterically funny comedy that your whole family will enjoy! Allyson and her friends just want a peaceful, grown-up evening of dinner and conversation - a long-needed Moms' Night Out. But in order to enjoy high heels, adult conversation and food not served in a paper bag, they need their husbands to watch the kids for three hours... what could go wrong? God's Not Dead -- When Josh’s philosophy class is demanded to sign a declaration that “God is dead,” Josh refuses but is stuck because he must take the freshman course for academic requirements. So, his professor, Dr. Radisson, strikes a bargain with him: defend the position that “God is alive” in a series of debates. But if Josh loses the debates to his professor, he flunks the course. Little does Josh know that accepting the challenge will test his faith, relationships and even his future. 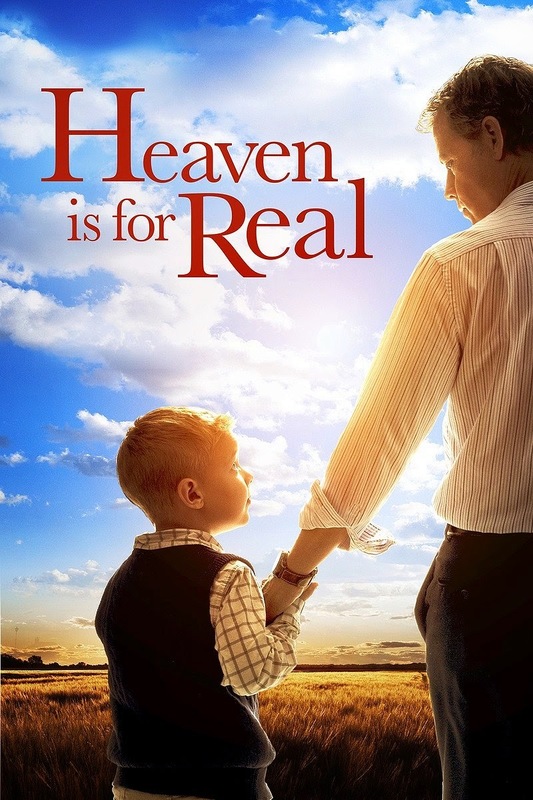 Heaven is for Real -- the true story of the four-year old son of a small town Nebraska pastor who during emergency surgery slips from consciousness and enters heaven. He survives and begins talking about being able to look down and see the doctor operating and his dad praying in the waiting room. The family didn’t know what to believe but soon the evidence was clear. Soul Surfer -- Bethany Hamilton (AnnaSophia Robb) was born to surf. A natural talent who took to the waves at a young age, she was leading an idyllic, sun-drenched, surfer girl's life on the Kauai Coast when everything changed. On the morning of October 31, Bethany was on a typical ocean outing when a 14-foot tiger shark came out of nowhere and seemed to shatter all her dreams. However, Bethany's feisty determination and steadfast faith spur her toward an adventurous comeback that gives her the grit to turn her loss into a gift for others - she's a Soul Surfer. These are just a few of the fabulous titles on sale at Family Christian. Check out the sale and fill those stockings! I can think of at least 3 movies that I want in my stocking this year. Which would you love to see!? **This sale runs from today through December 24th. Don't miss out on these great deals! Oh I so want to watch Girls Night Out and Soul Surfer! This is a great sale! What an awesome sale. I want to see Gods Not Dead just the title makes me wanna see it what an interesting title. I wan to watch Soul Surfer! I love Family Christians Stores. 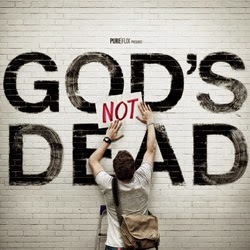 Very inspiring and great movies, I already bought God is Not Dead during this promotion, may have to pick the rest up!